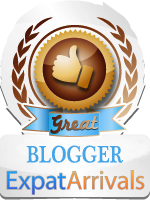 It’s finally time to talk about the Feria de Abril. I wrote in December about how excited I was to have a dress made this year. For a while, things were moving slow in the dressmaking department; I went for pruebas (fitting) with Elisa a few weeks ago and was worried about the fit—Shouldn’t it be a little tighter? Where’s the third volante (ruffle) that we talked about? The other women, the españolas, wondered why I was so neurotic. For ladies that have been rocking trajes de flamenca since birth, it’s taken for granted that the dress won’t fit quite right in pruebas; the third volante is sewn on at the very end; the bodice will be more snug with the weight of the final volante pulling down on it. Thinking about it now, well, duh—but without any reference point, this information was new to me. The dress turned out beautifully, and I’m lucky to have an enthusiastic and talented dressmaker for a friend. Seriously. I owe her about 200 more jarras of rebujito. The day I left Elisa’s house with my finished dress, I was giddy. The kind of giddiness I haven’t experienced since the last first date I went on, probably. But I wasn’t convinced that Feria would be a success. I’ve spent the better part of this year predictably declining invitations for weekend parties and get-togethers. 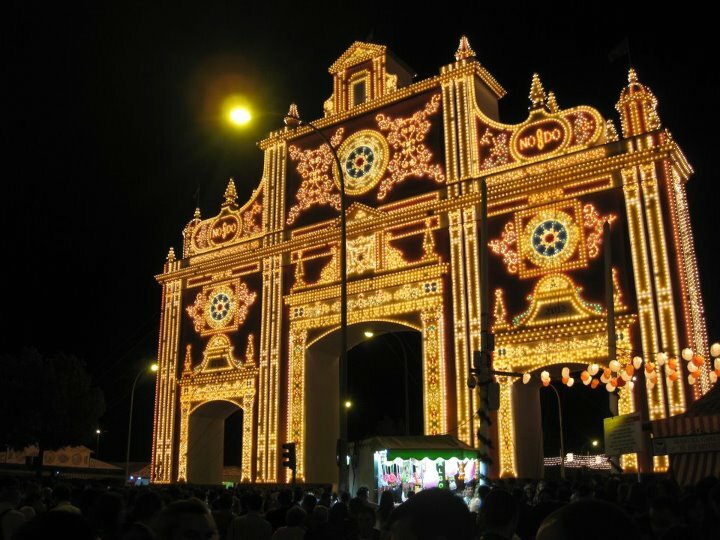 Sevilla’s Feria, for better or worse, has everything to do with social connections. It requires a proactive personality—if you don’t have a caseta (tent) of your own, you’ll need to ask around your friends. And if you’re socially inept, as I have been for some of this year, you’re SOL. It’s all because of the dress. I love getting into costume (See: my obsession with Halloween and drag queens). When I was on dance team (many lifetimes ago), I was always one of the worst dancers in the group. I fucked up the choreography in at least one or two major ways during every performance, to the chagrin of my coaches and teammates, but I loved recitals for the sole purpose of getting into hair, makeup and glitter-bedazzled Lycra costume. I loved the discomfort, including the pain, of the transformation. On recital night, bras are sacrilege; duct tape was a common solution. I wore my hair in a tight, gelled-back bun during ballet performances and my mom pinned bobby pins so hard into my head that I swore one would poke right through to my brain. The only dance team picture I’m willing to put on the Internet, because you can’t really make out our faces. That was part of the spectacle—beauty was pain, and if you weren’t in pain, you didn’t look good. There was an air of camaraderie, too. The girls bitched together about our one-shoulder leotards, two sizes too small, clinging so tight that they might break our ribs. We lamented the putrid shade of pink lipstick that was chosen for us by the choreographer. We moaned and groaned but if it weren’t for our love of the spectacle, for the love of the show, we wouldn’t have been there. This Tuesday I walked over to Cait’s apartment with my traje in one hand and a bag full of accessories and hairspray in the other. It was sunny and warm and for the first time all year I was in a profoundly good mood. I felt a smile come over my face that I couldn’t prevent even if I tried (which I did)—I was grinning, in public, walking through the Arenal like a bag lady with my flamenca paraphernalia. I stopped to help a lost American couple find a restaurant. I smiled at a 6-year-old child in a stroller, despite my aversion to kids-who-can-walk-being-in-strollers. It didn’t matter. I was giddy. I was lightheaded. I would have done a cartwheel if I knew how. That day, I spent 12 hours at Feria: 4 p.m. to 4 a.m. The night before I went to the Alumbrado. Wednesday I was in Los Remedios from 6 p.m. til 3 a.m. Thursday, 8 a.m. to 4 a.m. For the first time in months, I felt relaxed in Spain: all it took was a flower on top of my head, a ridiculous, heavy dress and earrings bigger than compact discs. I was not thinking about the weight I’ve gained recently; I was not sipping on my rebujito and worrying that it, too, would head straight to my gut. I was dancing sevillanas—poorly, but trying—and having a pretty damn good time. I was speaking Spanish and not embarrassed that my accent is not as good as my friends’ accents; I was indulging strangers in pointless small talk about, “What do you do in Spain?” or, “Do you like Spain better than the U.S.? Are you staying here forever?” In any other circumstance, these questions, these banal conversations, would have driven me insane. But I was smiling, I was playing the part of the happy guiri, grateful to be in a caseta. Maybe, because I had a costume, I knew I was playing a role. It was a role that I wanted, so I was eager to take it on and perform it well. Oh, and the camaraderie—I sat with the other girls and complained about the pain in our feet and legs. The dresses weigh so much that after hours of carrying them on our shoulders the aches start to kick in. Every morning I woke up with tension in muscles that I didn’t know I had (not unlike what happens every time I water ski). 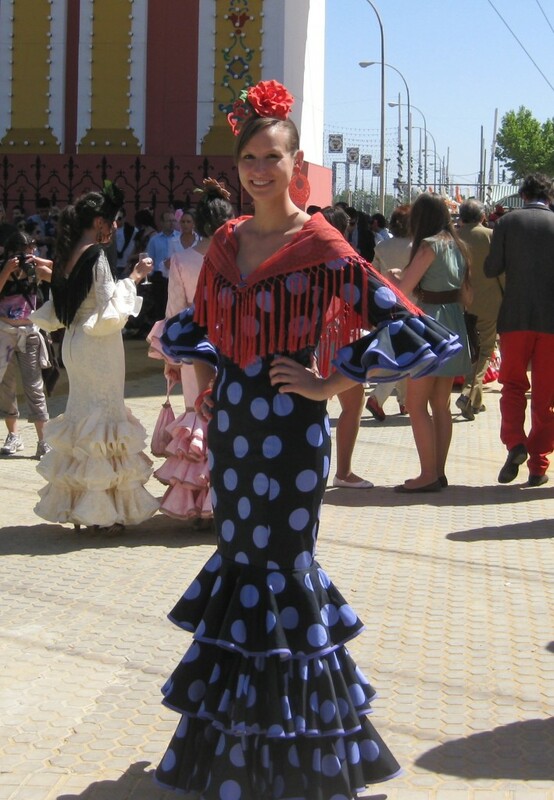 The traje de flamenca is not a look I could incorporate into my daily wardrobe, but it’s the only way I’d go to Feria. I spent a few hours in one caseta full of strollers, little girls with tiny flowers pinned to the crowns of their curls and hoop earrings sized down for toddlers. I talked to Elisa’s friend Vicky about how strange it is for me when I see how kids that grow up in Seville don’t even blink at the sight of Feria. The first time I made the pilgrimage to the fairgrounds two years ago, it looked to me like something out of Disney’s Epcot, but amped up with with sherry, 7-Up and more sherry. It was a part of Spanish culture that had no equivalent in my own. Once again, I had no point of reference to understand this tradition. Vicky doesn’t dress in the traje de flamenca; a lot of women choose not to, just like a lot of Sevillanas don’t actually know how to dance Sevillanas. But many of them still enjoy the tradition of Feria, regardless of how they participate in it. She didn’t say it critically; rather, as a simple statement of fact. The point of Feria is to have a good time. So, what a relief. I did something right this year. I had a good time at Feria. Chillin’ with the bulla at the portada. You rocked that traje like you were born on the mismísima Calle Pureza, daughter. Had a great time with you and your cloud of arte. Anyway, I was glad I got to see you during the week. You looked awesome in your traje! The paragraph about (not) thinking about others’ accents being better and engaging in banal small talk really resonated with me. Yep, I hate it too. I’m glad you went out and had a good time, though! I’m not sure I’d get too into Feria … maybe. I’m not a big costume person at all. What’s next for you, do you know anything yet? So pretty! I missed Feria way more than I thought I would this year. Looks like you had fun! Your outfit is stellar! What a cool experience, to have a dress made for feria. From the writing in this post it sounds like you have bounced back. Yay for sol y feria!